Apart from word of mouth recommendations, a restaurant website is essential if you want to attract new local customers. 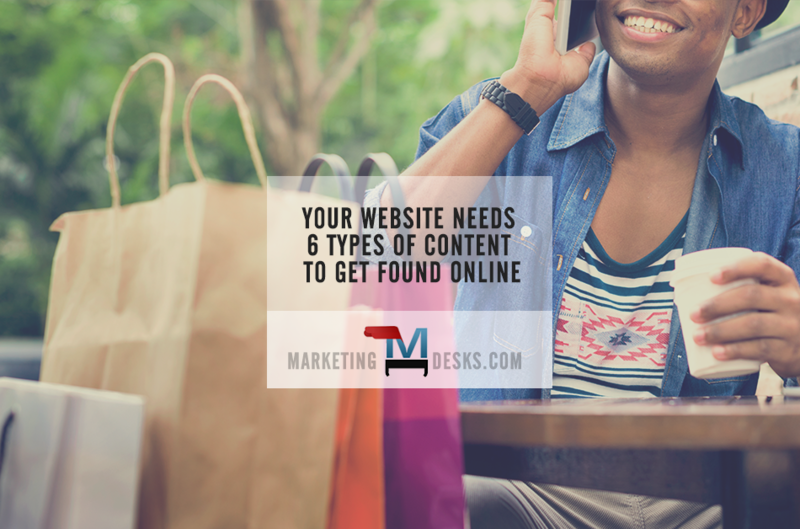 Here are six types of web content that can help your restaurant climb to the top of the local Google search pile. A BIA/Kelsey study* found that 97% of consumers research local businesses online before deciding where they want to shop, buy or dine. 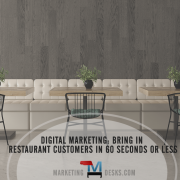 Use these restaurant website marketing strategies to make sure that they find your restaurant first, when they look for someplace to eat online. Pages with your restaurant’s menu items and pricing – and not just PDF versions. Many restaurants have PDF versions of their menu online but not text-based versions. We think you should have both. A PDF is easy to print out at the office or to share with friends or family at home. You can encourage people to download and print the PDF version of your menu and keep it handy should they want to call ahead, order for take-out or use your catering or group dining services. On the other hand, someone looking for a local place to eat immediately is likely to be using a mobile device. PDF’s can be sized for mobile but it’s not an elegant way to view your menu. Plus – and perhaps even more importantly when it comes to getting found online – search engines can’t necessarily “see” what’s on a PDF. Having web pages that include menu items in text format (i.e., search engine crawl-able format) will be easier for people using mobile devices and will enable people looking for restaurants that serve your type of cuisine – or even specific dishes – to find your restaurant online, first. Web sites designed with a multi-device strategy in mind. It’s important to understand that many consumers will use both desktop/laptop or tablet-size devices and mobile devices while researching local businesses, including local restaurants. 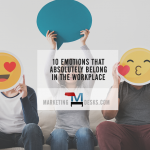 Someone looking to meet a colleague or friend may very well start their search from a desktop and then move to mobile when the time comes to hit the road. On the other hand, people who did not plan ahead but need to find a restaurant may start and end their search on a mobile device. Neither a website not optimized for mobile (either with a mobile app alternative or with responsive design) nor a website only optimized for mobile is the right approach; you must have both. Mobile sites that motivate customer actions. 90% of the Americans who use mobile phones to search for local restaurants take action within 60 minutes! Every restaurant’s website has to continually become more mobile-friendly from web search to communications to check ins to checking out at the end of a dining experience. We advise that you add content to your web site (and mobile app, if applicable) that incentivizes people who find your restaurant in an online mobile search on mobile – and who are likely to take action within the hour – to choose your restaurant or bar. This could come in the form of a digital coupon for a free add-on, extended happy hour pricing, call-ahead ordering or the ability to check-in from the road and get their names on the list for seating before they even arrive. Positive customer reviews on your web site and local restaurant review / rating sites. Online restaurant reviews and star ratings are the new personal recommendations. In fact, people now trust online reviews and recommendations just as much as they do referrals from people they know. A BrightLocal.com consumer survey found that 80% of consumers say they trust online reviews just as much as they trust personal recommendations, and 85% specifically say they read local business reviews of local businesses before purchasing. 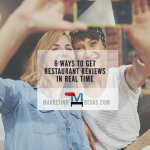 Think of it as the next generation of “star power.” 5-star ratings and reviews help persuade people to visit local restaurants and even pave the way for building brand perception. Someone visiting a restaurant with the expectation of having a good experience, who then receives one themselves, is likely to go online and add a positive review as well as make personal recommendations of their own. Web pages with lots of local references. Wi-Fi Enabled Customer Check-In Build brand awareness and remind lapsed customers that your restaurant is on the map by adding Wi-Fi enabled check-in to your location. Every check-in publicized on social networks is more social proof that your restaurant should be a first choice when it comes to local dining options. With more and more consumers using smartphone, tablet and other digital devices to research local restaurants and stores before deciding whether to visit, it’s vitally important that your restaurant has digital content that can persuade them to give your business a try. Make sure your business will show up in local search results and has the power to convince local consumers to visit your restaurant using these six types of restaurant website content.